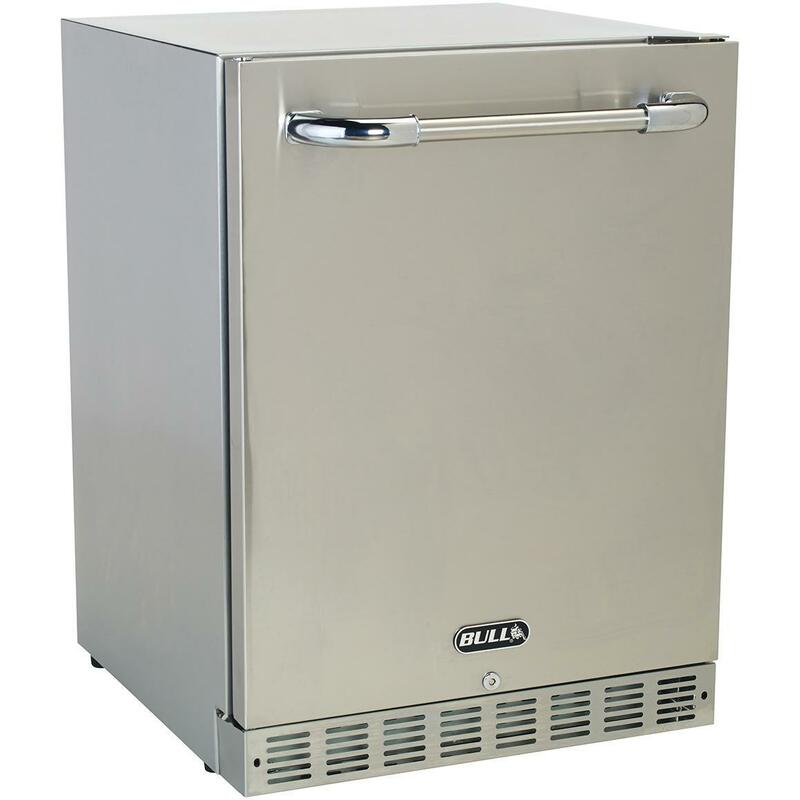 Product Description: Bull 24-Inch 5.6 Cu. Ft. 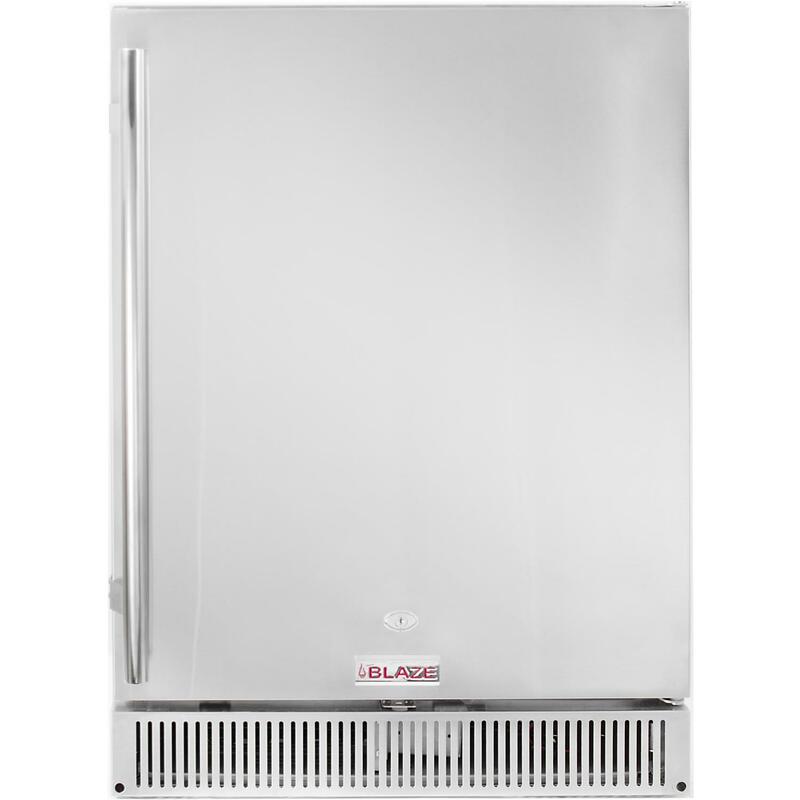 Premium Outdoor Rated Compact Refrigerator Series II - 13700. 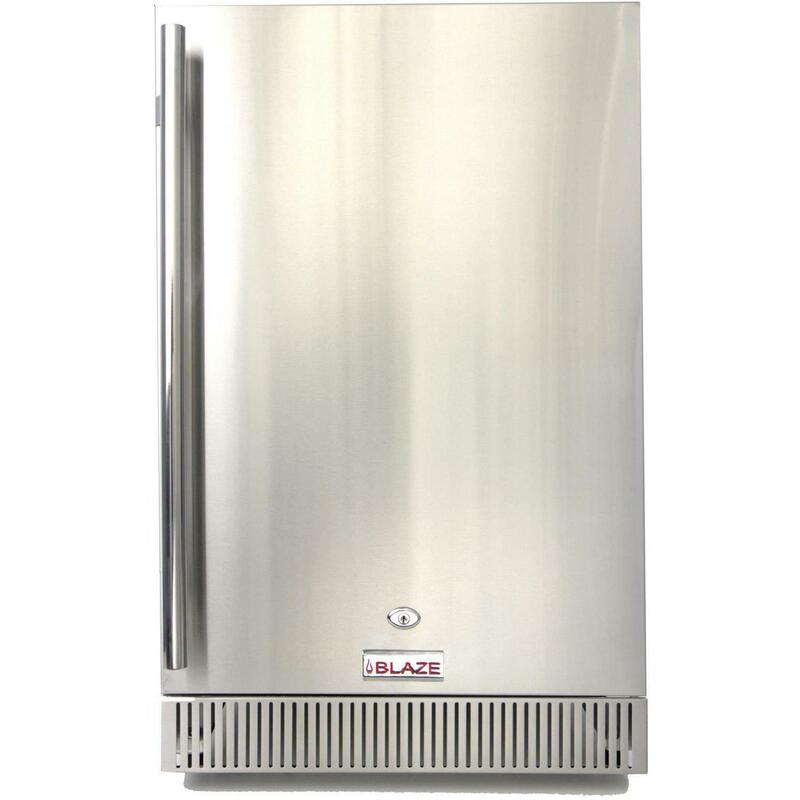 Chilling items in your outdoor kitchen is easy with this premium, stainless steel outdoor rated refrigerator by Bull. The large 5. 6 cubic foot capacity, three adjustable wire shelves and one glass shelf allow you to store ample food for grilling and beverages for drinking in your outdoor kitchen. Easily control the internal temperature between 36 and 54 degrees using the digital LED control panel to adjust to your storage needs. The locking door seals, and along with the dual fan system, ensures consistent internal temperatures. The field reversible door features a full length towel bar handle that matches your Bull grill and outdoor kitchen accessories. The interior and exterior are completely constructed out of 304 stainless steel and the fan system is enclosed for durable outdoor use. Bull accessories are guaranteed to make your outdoor entertaining area a complete success.